In New Orleans, the notorious bank thief and family man Will Montgomery steals $10m with his partners Vincent, Riley Jeffers and Hoyt. However, he has an argument with Vincent in the runaway and Hoyt leaves Will behind. 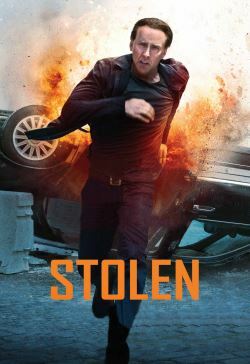 He tries to flee but the FBI agent Tim Harlend organizes a manhunt and Will is captured, but he burns the stolen money to get rid of the evidence against him. Eight years later, Will leaves the prison and he goes to the house of his teenage daughter Alison Loeb, who has issues against him. Alison leaves Will alone in a coffee shop and takes a cab to go to a session with her shrink. However, a couple of minutes later, Will receives a phone call from Vincent, who is presumed dead, telling that he has abducted Alison and will kill her unless he receives the $10m of the last robbery. Now Will has twelve hours to find a way to rescue his daughter from the hands of the psychopath Vincent.